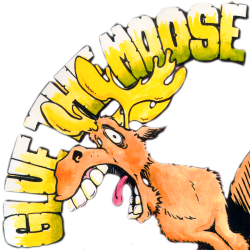 Glue The Moose provides musical content creation services to music and sound equipment manufacturers. I’m Nate Tschetter, GTM Principal and I have over twenty years of experience creating demos, accompaniment patterns, sound design and other embedded musical content for many of the most successful electronic instruments in the world. I’ll work with your product management and marketing teams to plan, produce and deliver musical content for a compelling self-demo – or accompanying patterns and tracks to make your instrument a powerful creative tool for your customers. GTM offers far more than just music. I understand the technology and have unique expertise that allows me to work within whatever technical constraints there may be and still come out with what really matters – musical content that feels like it was made by musicians – not machines. GTM understands product development. I’m used to working with early prototypes and recognize that you’ve got deadlines to meet. My stock in trade at GTM is stylistic variety. I have created authentic content in more musical genres than the average ethno-musicologist could name and I am constantly keeping abreast of the current music scene. GTM content may be heard on everything from high-end player pianos to low-cost, mass-market instruments. GTM is not limited to keyboard instruments. I have also made content for electronic drums, arranger products and virtual instruments. Here is a partial list of instruments that include GTM content.